Track modifications for the Alfa Romeo 4C coupe and spider. When you get a pair of good running shoes, ski boots or a new road bike, just a little extra care and customizing can go great lengths in making the final outcome perfect. That's the philosophy applied to our Intrax Racing suspension systems for Alfa Romeos. In this "Fitting" we take a core group of components and tune them for each customers application. So for slightly more cost than your typical one-size-fits-all coilover system you are getting a custom tailored suspension kit for your car. 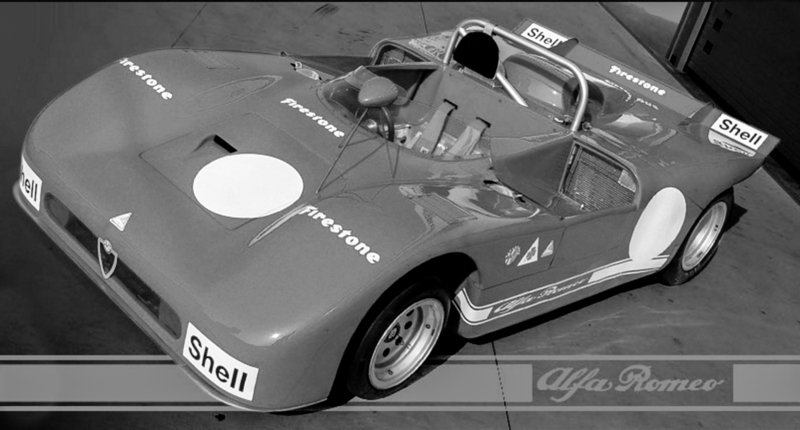 Long known for their development of Formula 1 suspension in the early days, Intrax took that knowledge to Alfa Romeos. 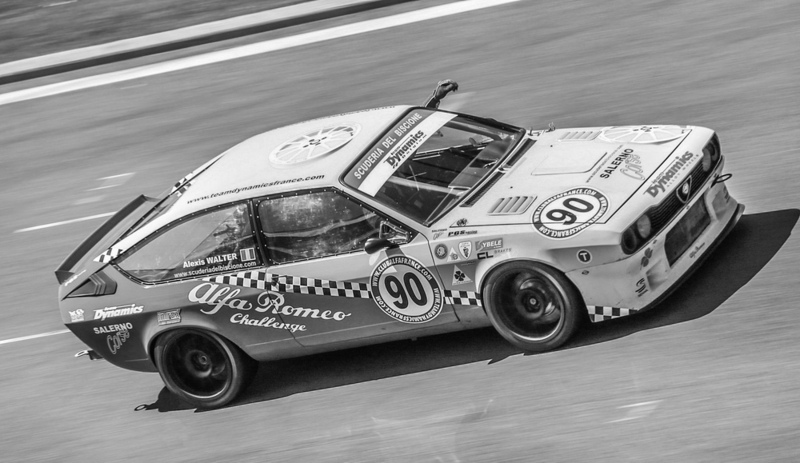 All backed by a personal interest of the company owner who campaigned an Alfa IMSA 75 Turbo and used it as a test bed for suspension development. 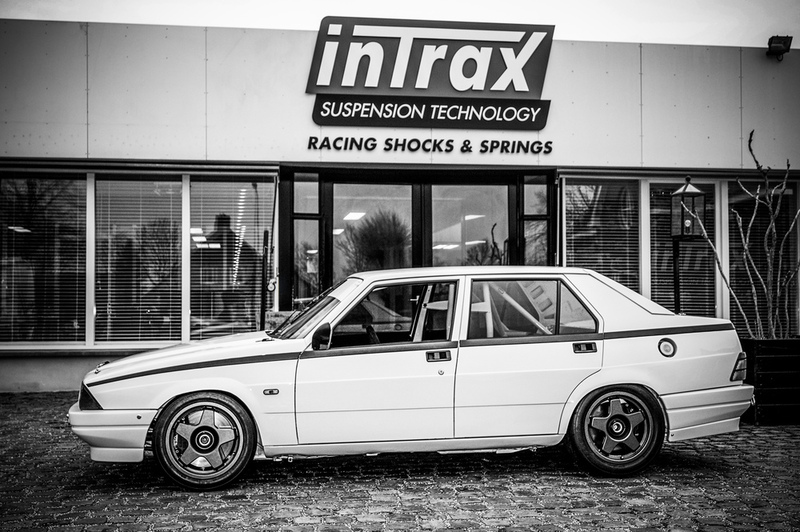 It is with great respect that Intrax has fitted many Alfa Romeos throughout the European racing community. Now we can bring this unique knowledge base to many USA cars via the support of Alfa9 Supply. Typical features found on the Intrax systems are: aluminum bodies for less unsprung weight, aerospace coated pistons and internals for durability and less heat/friction, track tuned spring rates, modular construction for infinite rebuildability, and built in thermostat systems for proper oil and dampening rates in all conditions. Special care has been give to all Alfas in the Intrax line of products, ranging from the early cars all the way to the most modern Alfa 4C Coupe and Spider. Any situation from street to tarmac to gravel can be accommodated for any car. Don't hesitate to contact us for details in fitting your car.